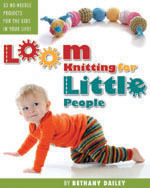 Can you join us for the Loom Knit Oven Mitt Loom Along??? Just pop on over to the Event Post on Facebook and let us know if you can make it! Hope you’re able to participate…we’ll be looming up all kinds of Oven Mitts in no time. See ya’ there! This entry was posted in Classes, Free Loom Patterns, Loom Alongs, Loom Knitting, Ravelry. Bookmark the permalink. 2 Responses to Can you join us for the Loom Knit Oven Mitt Loom Along??? Looking forward to this loom along, Sunshine 🙂 Hugs!